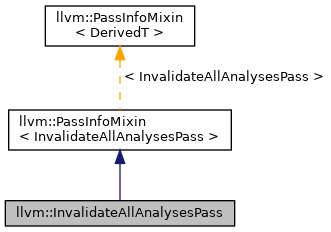 A utility pass that does nothing, but preserves no analyses. Because this preserves no analyses, any analysis passes queried after this pass runs will recompute fresh results. Definition at line 1389 of file PassManager.h. Definition at line 1392 of file PassManager.h.